It’s been a week since my last post. And I know I owe you an update on the progress of the nails. I’ll have that up for you later. I’m just so excited to show you what I’ve been up to lately! I have actually been working on our office. Finally! No, I mean really working on it. 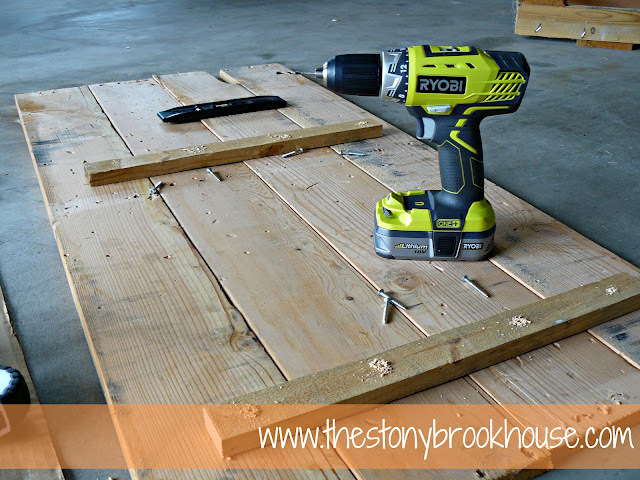 Now, if you've been reading blogs or pinning on Pinterest, I'm sure you've seen the surge of DIY projects with pallets. I love it! There are so many varieties. 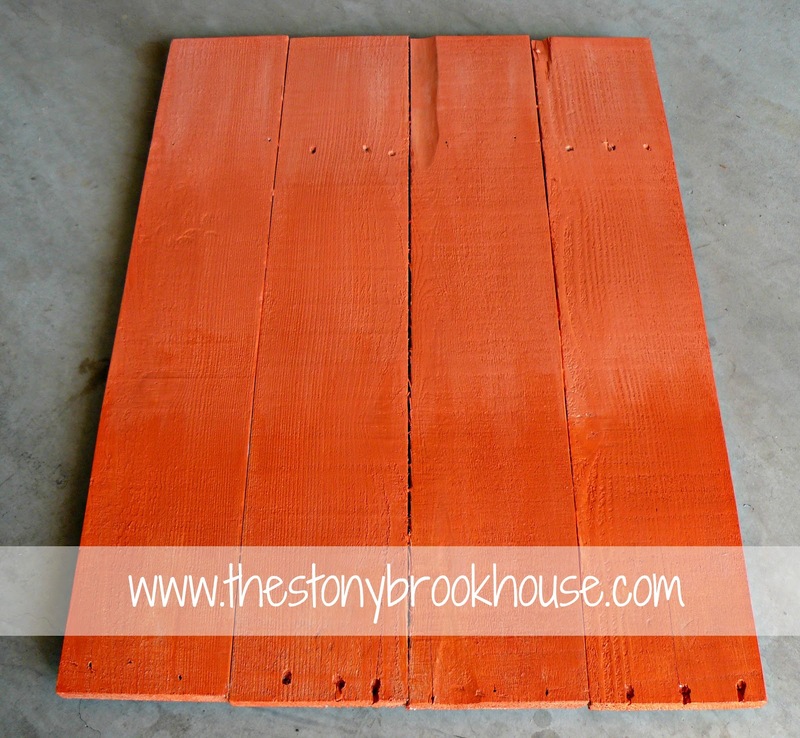 Pallet furniture, pallet flags, pallet subway signs, pallet art. make something beautiful out of it! I was looking at our office the other day and trying to figure out how I wanted to do a “gallery wall”. I was actually thinking about what to do with that wall, way back in a post I called "We are Moving". So, I've been on Pinterest a lot (You can check out my boards here.) looking at my office board. I've done searches on gallery walls and shelves… and I came across some pallet art. Hmmm… I was thinking I needed something large to balance out the wall. Bingo! I have a pallet in the garage. I am sooo doing this! I just have to show you!!! I did this! I still can't believe it! Then I found in hubby’s woodpile, and found a small piece of wood that would work to attach them altogether. 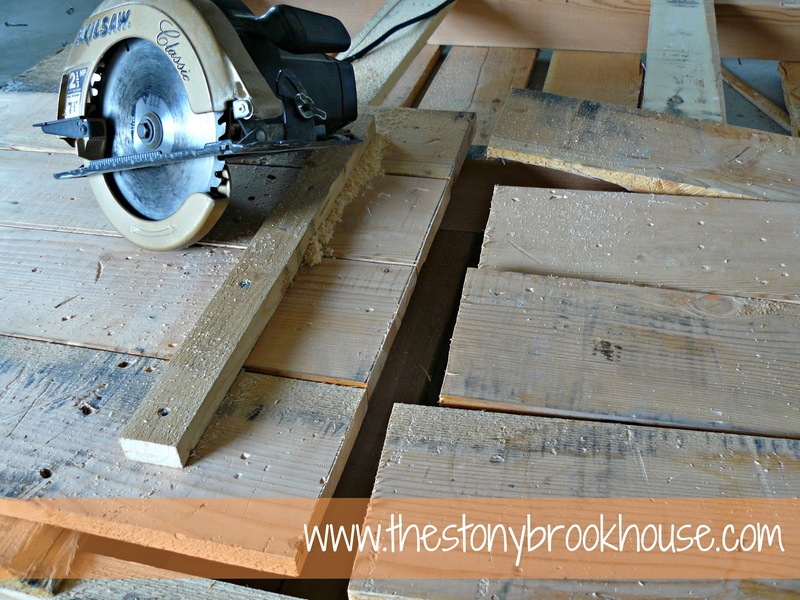 I cut that in half, with a hand saw, mind you…. 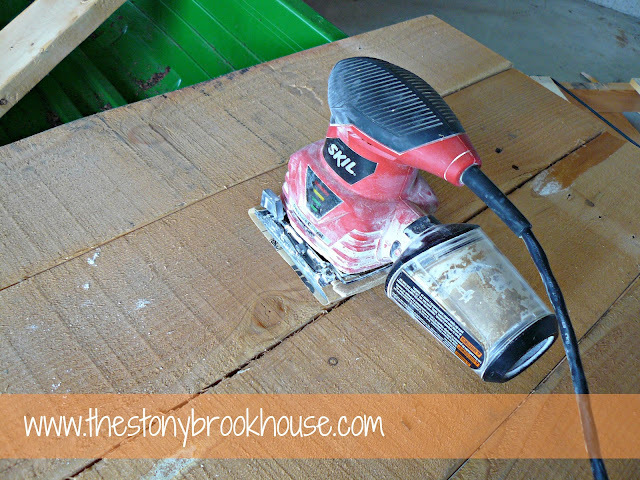 :D I was a little nervous about getting the power saw out. But I overcame my fear… you’ll see! So, I drew the line I had to follow, got out the power saw, put my trusty safety glasses on and just went for it. He showed my how to use it when we made our planter boxes. I just like to have him there in case I screw up. Come on, Lori, it’s just a straight line, do it already! Not bad, if I say so myself…. confidence is growing! Painting! I looked in my basement first, because I thought that I had some orange paint in there, but it was totally wrong. Dropped in at the local hardware and picked up a quart of this gorgeous color!! Oh yeah! Lovin this!! Then I thought, maybe try some of that ombre technique that is going around. So, after about 10 inches, I added white to some of the paint. I added too much of course, so I painted the rest of it that color… sorry I forgot pics of that part. Then added more orange to darken it for the middle. I played with it here and there. It worked out pretty good. I didn’t want a huge contrasted ombre, just something subtle. I really like it! I used Edwardian Script size 350 and Modern No 20 size 450. Then laid them out and figured out where I wanted them. I just had to show the picture with the flowers in it. The more I have fresh flowers on the table the more I need them. It just brightens up the room and me! Then I had to cut all of the excess paper and tape them back on. I tried to use the technique I used on my damask stencil post, but that didn’t work very well. 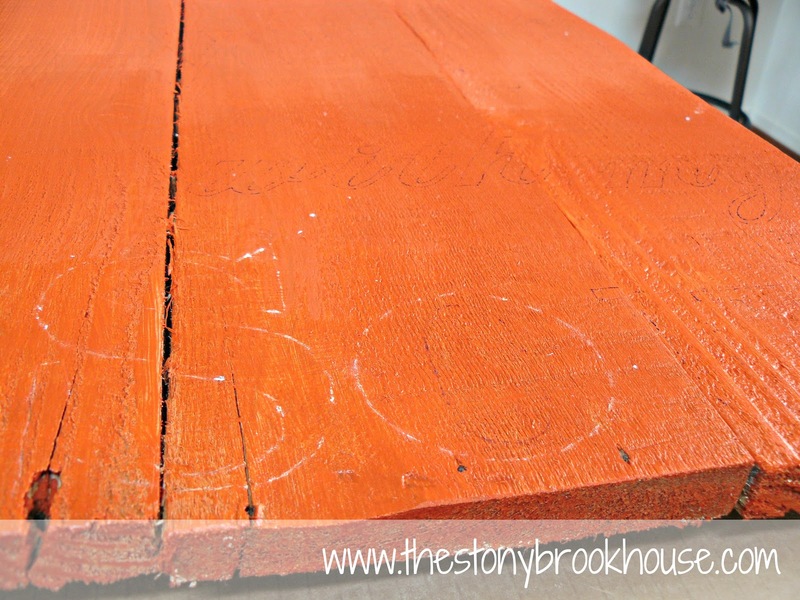 The wood wasn’t as soft and with the semi gloss paint it didn’t want to indent too well. Ok, plan B, I tried a fine tipped sharpie to trace the letters and let it bleed through the paper as I traced. Perfect! You can see the two ways I tried. I was seriously having to dig to get anything to show the first try, but with the sharpie, I just had to go slow enough for it to bleed. Now, for some tedious work, but well worth it! Plus, I actually really enjoy this part. It makes the whole project come to life! I did 2 coats of white on the lettering. My artist/graphic design student, daughter, drew the tree branch and bird. Adorable, right? She painted some and I painted some. Ooooo! I can’t wait to put it up in the office and show you all! I feel like this pallet art sign is going to be a great addition to the office. I chose this phrase, because it gives me such comfort and assurance! 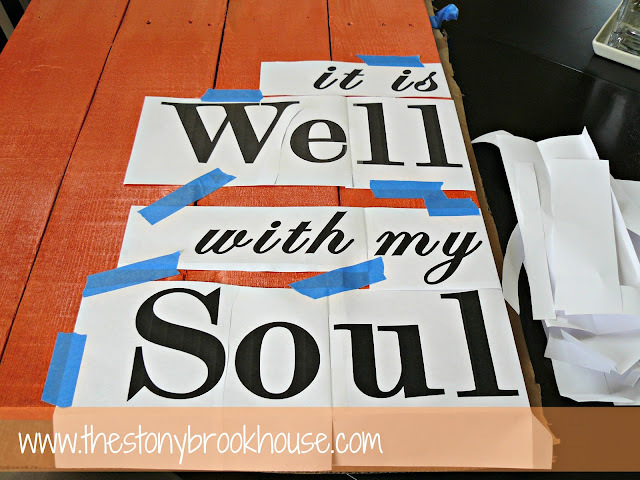 Have you ever heard the true story behind the song, “It Is Well”? If not, it’s very moving and shows incredible faith and strength. This hymn was written by Horatio Spafford, after several traumatic events in his life. In 1871, their only son perished from scarlet fever, then shortly after he lost all of his real estate ventures in the great Chicago fire. Which basically ruined him financially, even though he was a very successful lawyer. In 1873, he planned for the family to go on holiday to Europe, but due to some business he was delayed and sent the family on ahead and would catch up with them later. Soon after, on his way to meet his grieving wife, the captain called him to the bridge and informed him that he believed they were passing where the ship went down. Horatio went to his cabin and penned the words to this wonderful hymn. I pray this song gives you strength when you feel weak! That is a beautiful song and a beautiful sign. And even more precious working on it with your daughter. I have always loved that song but did not know the story. Thanks for sharing. Lori, you did an amazing job. I know you will enjoy looking at this everyday. So glad you shared your project and the history of this familiar hymn. Hey Sallie!! Thank you, darlin! I appreciate you so much!! Lori - this is beautiful and fun and happy. I've never heard that song, but reading it after you explained when he wrote it, made me feel awe over the peace he felt in the most dire of circumstances. It makes you realize that even when all seems lost, it is not; there is more to come. Eliesa, you are sooo right! There is always more to come! Thank you so much! Wowza! 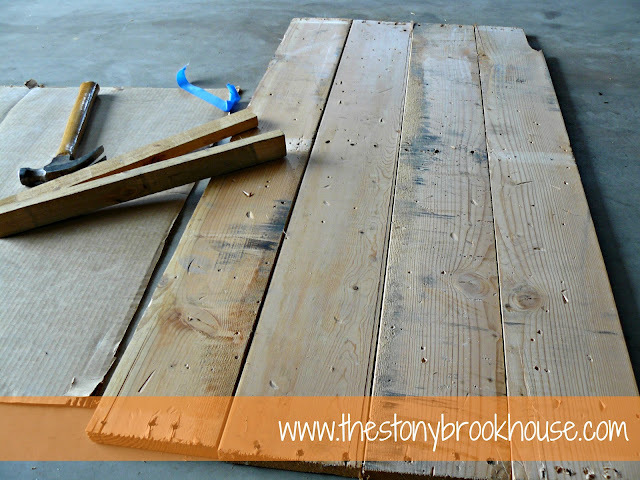 Your pallet wall art turned out wonderful! I love that orange and the branch/bird are perfect. It will be so bright and cheery in your office. Thanks, Susan!! I really am thankful it came out as good as it did!! I love looking at it!! Thanks so much, Megan! I'm really enjoying looking at it in the office! Lori this is absolutely beautiful. Once again you're prompting me to do that desk. You remember the free one. Overcoming confidence is what I need - not Jeff. Thanks for the encouragement. A project when we return from vacation. Also thanks for the info about the beginnings of that song. Didn't know that. Oh! Nana! I know it's you again :) I think I'll just come over and help you with that desk! We'll show Jeff! This is SUCH a great project, Lori! You did a great job! Were you given some confidence to use the power saw by being at Haven? Thanks for sharing so many wonderful aspects with us in the "how to"s AND in the great story about the hymn. Thanks! Gayle! 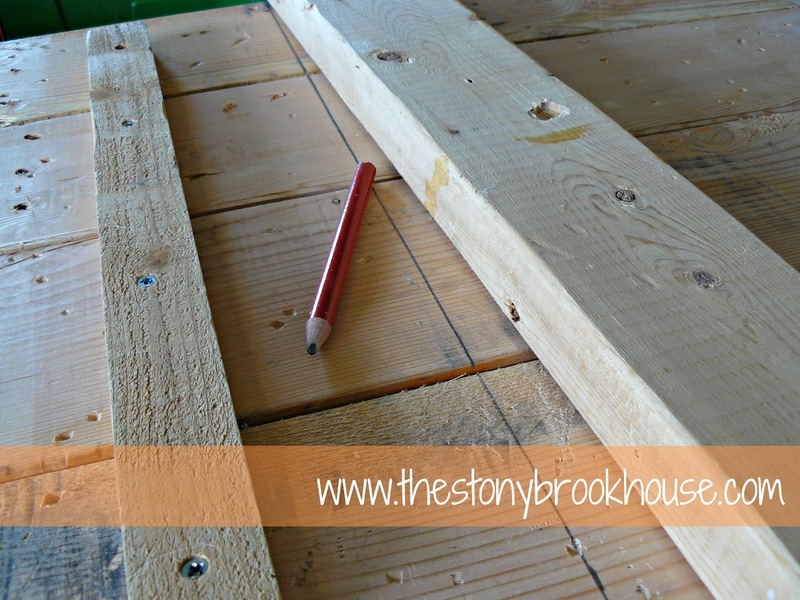 Well, hubby helped me before and I figured I could do a straight line! You always give so much encouragement!! Thanks again! This is very cute! Your pictures are very detailed. My favorite part is the design! Wow, that turned out amazing! I adore that hymn - truly so comforting during difficult times. Visiting from the Homemaker on a Dime party. Great job!! Hi Sara! I love that hymn too. It actually means a lot to me.... Thanks for stopping by! One of my favorite songs but it's sometimes hard to sing. I agree with you, Mari.... But it truly give me hope and strength! Thanks for your sweet comment! SOOOO cool. I need to break down and get me some power tools. I love the subtle Ombre as well. Thanks Sarah!! I really am proud of this piece... I'm definitely checking out your party! This is such a beautiful project. A lot of pallet art is designed to be weathered and shabby...I love how yours is crisp, clean, and vibrant! Hi Marilyn! Thank you so much! I really love the shabby chic look, it's just not completly my style. I kinda like it bold and colorful! :) Thanks for reading!! Great project! I love the colors & the quote. Thank you so much!! I enjoy it so much in my office. Thanks for stopping by! Thank you, Devan! I hopped over to your blog... loved it!! Thanks for reading! So pretty and cool! I love it and the color, did I miss it or did you mention the paint color name. Love art pallet but have never done any myself. Funny I have a pallet sitting in the backyard since last summer. Well I guess that's good cause it will be weathered. I knew I had a reason I left it out there. I really love it and thanks for sharing that great poem, very pretty. Thanks for sharing your creative inspiration with Sunday’s Best – you helped make the party a success! Thank you so much, Cathy!! I didn't mention the paint color.... I kinda hacked it.... Then I kinda lightened it. Have fun with that pallet! Can't wait to see what you do with it! I really like this song but never gave it any thought. Thank you for sharing. I love your pallet art! very very awesome! Thanks so much!! I was hoping people would have a new appreciation for that song. It's an oldie but goodie. Lovely work of art. You should be very proud of it. Visiting from Family Home and Life Link Party. Hi Donna! Thank you for your sweet comment. 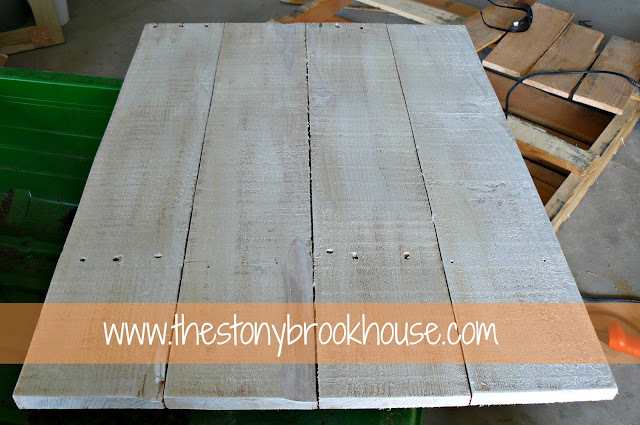 I do have to say I am proud of this piece, especially using the power tools :) Thanks for stopping by! This is just beautiful - love the colors you chose - Unique one of a kind piece! Blessings to you! I pray the Lord gives you strength and joy through this journey. Thank you for reading! You did a super job. I will be featuring this tonight at my Fall into Fall party that opens at 8pm EST. Please stop by and pick up an I've Been Featured button. Thanks. Thank you, thank you, Judy, for the feature!! Lori, this looks amazing! 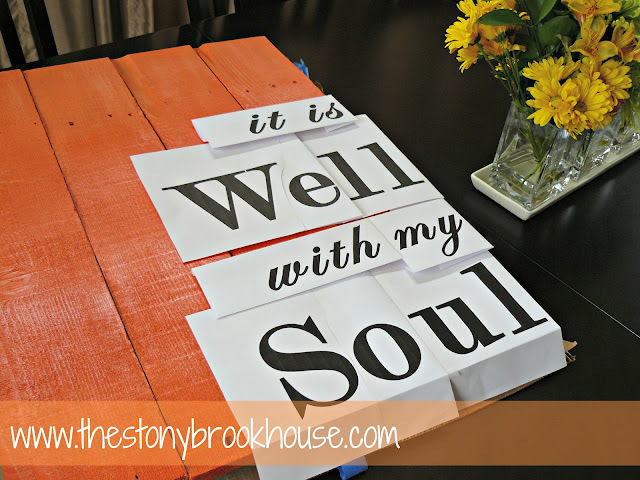 I love this hymn and what a great reminder to see those words so beautifully displayed! 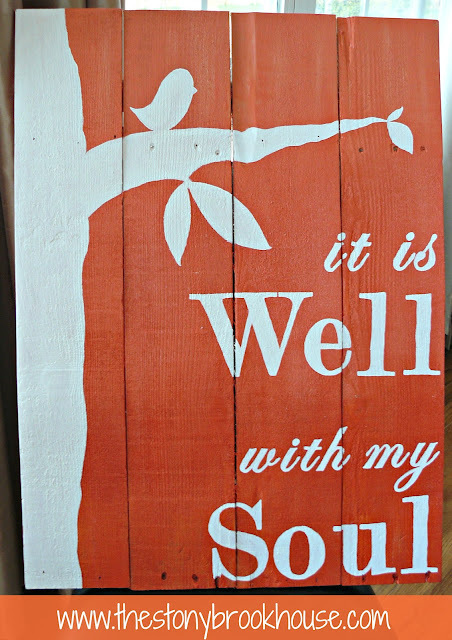 It is truly well with my soul! Saw you featured on House Of Hepworths! Congratulations. Really? I didn't even know I was featured... :D Cool! Thanks, Lisa! I agree with you, this hymn holds such a special place in my heart! Thank you so much for linking up your wonderful Sunburst Sign tutorial to Creative Thursday last week. It turned out beautiful! 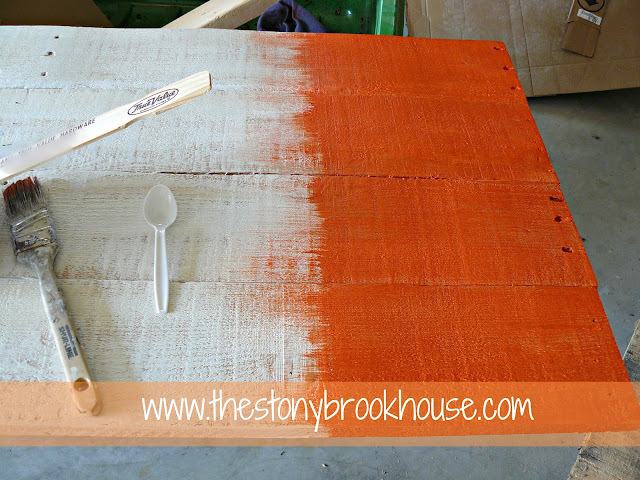 I can't wait to try this for my home and holiday gifts too :) I can’t wait to see what you link up this week. I wouldn’t be able to do these wonderful parties without your participation. Have a wonderful week. Thanks, Michelle! I am so please with how it turned out! Thanks for reading! Hi Emily! You are all the way in Hong Kong?! Wow! I love how the internet connects us so easily! Blessings to you! Thanks for reading! Love your pallet! I've got one sitting in my shed waiting for some attention. Just curious -- are you going to hang it on the wall? I'm wondering how I'm going to get something so heavy to stay up and not come crashing down! Hi Lisa! I did hang it! Check out my office reveal! It really wasn't that difficult. I used the eye screws and wire. Then in the wall, I put in two screws to support it with wall anchors. It isn't going anywhere. It's hanging right above my husbands aquarium. :) Thanks for reading!! now following you via GFC and FB! Hi Alison! That song is so powerful! You aren't the only one to struggle through that song. I've sung it in church before, and usually I have a crack or a sob in the middle of it... It just reminds me, I have so much to be thankful for!! Thanks for your comment and for the follow! I love the sign. What a beautiful message. I am a sucker for things with a cute bird sitting in a tree! I love the pallet sign. I have a pallet in my yard just waiting for me to make a sign out of it. After reading this I can't wait to tear into it. LOL. You did a great job. I love it too!! I want to make MORE! Tear into it, you'll be so glad that you did!! :) Thanks! I love the color that you used. And I am a sucker for pallets! Thanks for sharing at Fabulous Friday. Hi Kelly! I can't seem to get enough orange! Thanks for giving the opportunity to share our projects! 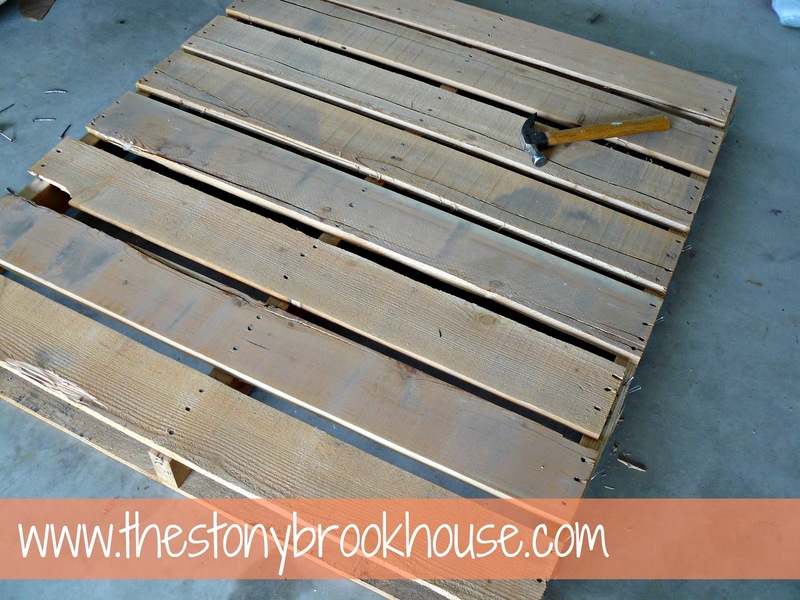 Hi Lori, thanks so much for sharing your pallet project at Project Queen's Link Party! I LOVE IT!!!! I'll be sharing it tomorrow night (Monday) at the Highight Party. Hi Mandy! Awww... Thank you! This is one of my favorite pieces I've done. This is awesome! love the color you picked too! I can't get over this... it is just perfect! Will be featuring it tomorrow! Hi Trish! Thanks so much!! This is my favorite hymn ever...though I rarely get through singing it without choking up. Just sang it a few weeks ago at the funeral of a dear friend's dad. Love the sign! Might make something similar for a spot in my kitchen that could use some inspiration. Thanks for sharing your creative genius! I agree with you, it's definitely one of my favorites as well. Thank you for your sweet compliment. Blessings! the 4-hour unrestricted consuming interval. paint and stain. Tiny spaces condense our lives into really manageable refreshing tiny nooks. I'd enjoy to make a counseling workplace from certainly one of these! This submit truly made my day. You cann't imagine simply how a lot time I had spent for this information! Thank you! The orange is so cheerful! You did a beautiful job with the lettering too. It's one of my favorites!! :) Thanks!